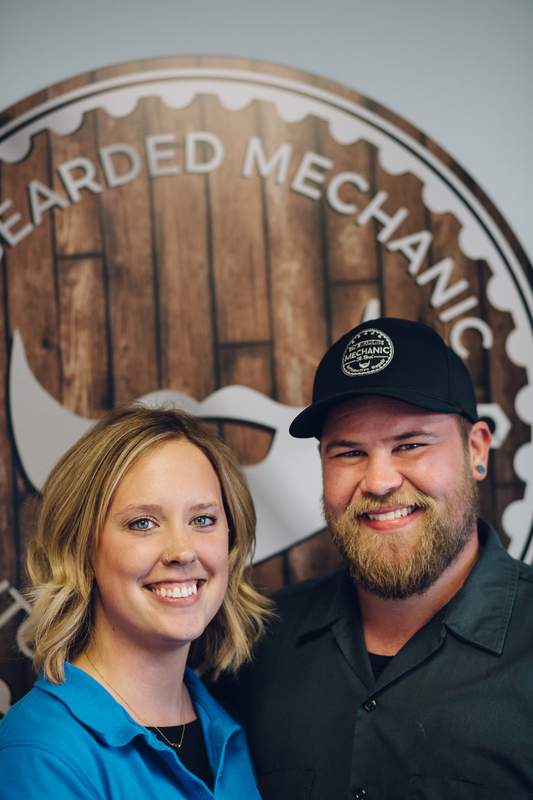 The Bearded Mechanic consists of Kyle and Alonna McCabe, who have many years of experience in both mechanical repair/maintenance and management/customer service. Kyle finished his training at Dunwoody College of Technology in 2008. In 2011 the two married and set goals of running their own auto shop with a focus of providing honest service toward women, families and men. Searching for the right shop was looking pretty gloomy until they came across the perfect location in St. Bonifacius, MN. Feel good supporting this family owned local business and check out how dedicated they are to doing things differently!